Hokkaido Yamaka Buckwheat Flour Milling Inc.
Hokkaido is a major production area of buckwheat which accounts for about 40% of buckwheat production in Japan. 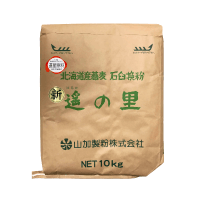 We, Hokkaido Yamaka Buckwheat Flour Milling Inc. hope to offer the genuine taste of the high quality buckwheat to our customers from Hokkaido. Always have been and always will be part of your happiness. 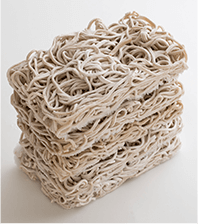 We create a good future through buckwheat products. We are going to exhibit the FOOD HOKKAIDO 2018 at Sapporo Park Hotel on 28th and 29th of August, 2018. We are going to exhibit The 15th N.A. Sales Japanese Restrant Show at The Westin Hotel San Francisco Airport(CA) on 16th of June, 2018. We are going to exhibit the Extra Event on the following day of the Restaurant Show at TOTO Concept Room 190 King St. San Francisco(CA) on 17th of June, 2018. 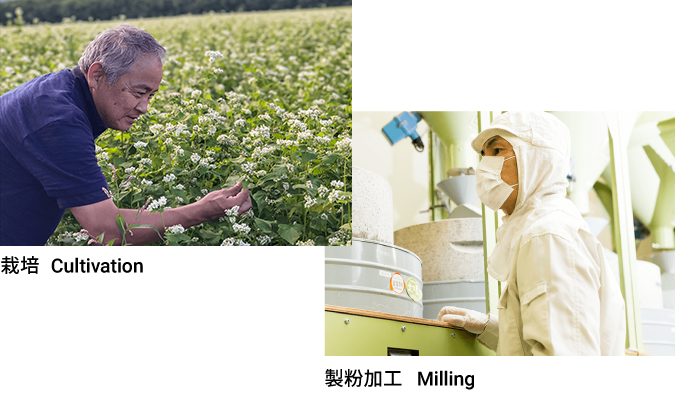 To offer the genuine taste of Hokkaido buckwheat is our mission, and we have milled buckwheat for many years. A rich and refreshing flavor from a sip of silky and savory buckwheat, this impressive encountering with good buckwheat is a result of solid handiwork by a lot of people involved in from cultivation to processing. All of our domestic ingredients are strictly selected Hokkaido-made products. We choose and purchase ingredients from reliable farms based on our annual contract arrangement. These direct agreements allow us to give advice to and request farms to improve the buckwheat cultivation method in details. Buckwheat grains are carefully and thoroughly milled in super slow-speed stone mortars in a controlled low-temperature room, and we succeeded in producing high quality buckwheat flour as a result. Shibetsu district faces the Pacific Ocean and there is more intense daily temperature difference in Hokkaido. With black soil which drains well, Nakashibetsu town in Hokkaido is well suited for buckwheat. Using the organic fertilizer often used for orchards, buckwheat is grown under maximally controlled soil balance and photosynthesis conditions. 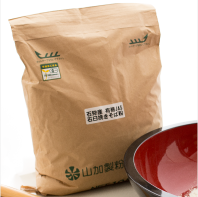 This buckwheat produced by Uehara Farm Co., Ltd. with a good color and flavor is milled by super slow-speed stone mortars into buckwheat flour. Uehara Farm Co., Ltd. 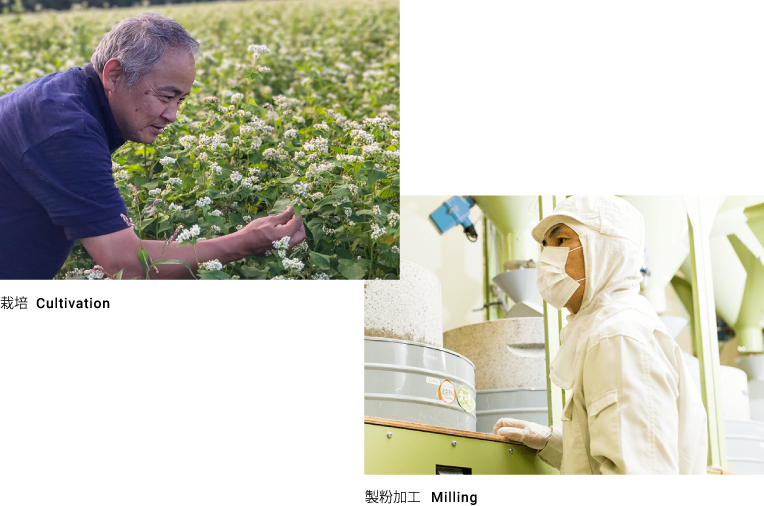 Achieved the Minister for Agriculture, Forestry and Fisheries Award in all Japan buckwheat producing project in 2017. Ishikari city faces the Japan Sea, and cultivation in spring spreads the smell of new soil around this area. Using organic fertilizers made with rice bran, rapeseed lees and herring powder, and also fermented chicken droppings, we have started organic farming over 30 years ago with no-cultivation method. Our original milling method gives it genuine buckwheat savor. We also have Stone-mill organic Buckwheat Flour (Whole Grain) 5kg and Organic Buckwheat Groats 5kg. 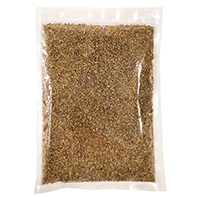 Dattan buckwheat richly contains vegetable protein, vitamins and fiber, including essential amino acid. Especially rutin, a type of Polyphenol, has various effects on health such as improving memory, regulating bowel system, making skin better, and preventing Lifestyle-related diseases. As this is caffeine-free, you can drink before bed time or when you are pregnant. This uses the buckwheat flour milled by super slow-speed stone mortars. Savor, color, taste of buckwheat, everything is produced excellently. Mixing with Hokkaido-made flour creates a smooth texture. Tokyo Mutual Trading Co., Ltd.
© Hokkaido Yamaka Buckwheat Flour Milling Inc.